You know that Tofu got on my radar a while ago, and I was in this phase when I was experimenting with it. Well, that was a good healthy phase… (sigh!) Around that time, one of our friends asked if I have ever tried baking eggless cakes, as those are hard to come by here in Dubai. 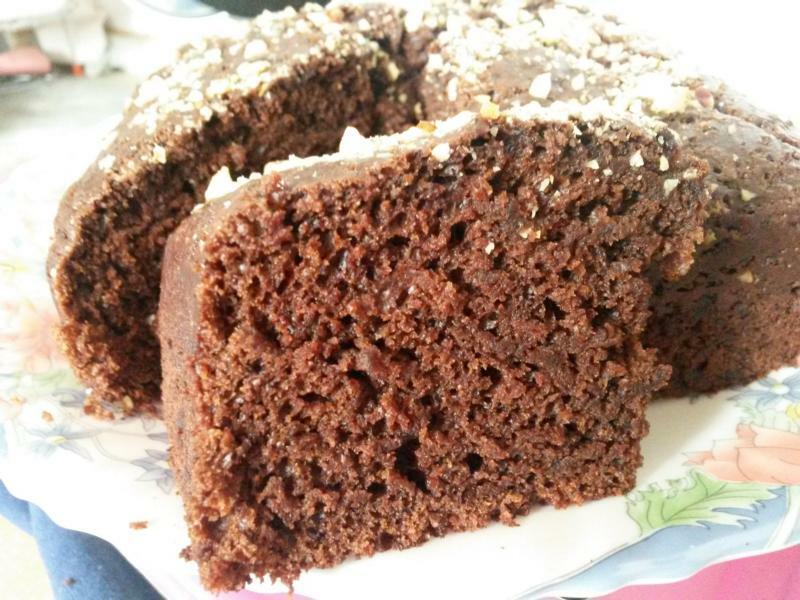 Eggless cakes are very common in India, due to a huge vegetarian population. 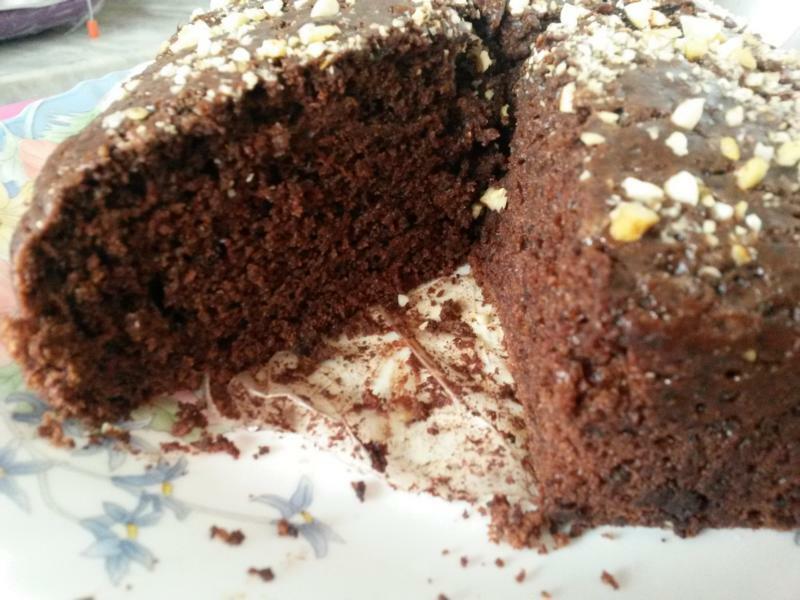 Since the friend had put the query to me, I had to try an eggless cake… didn’t I? And since it was the Tofu phase, some tofu had to feature in it…didn’t it? So I did some research, on baking with tofu, browsed many recipes and decided to try this one from egglesscooking.com. I have made my own adjustments to this recipe. It is very simple to make and the tofu is absolutely undetectable (incase you are wondering what the kids will think). 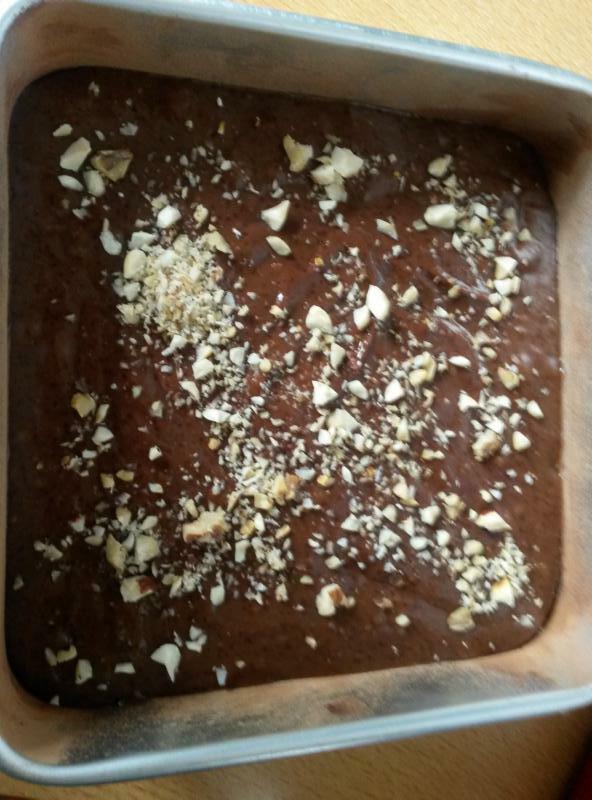 When I made it for the first time, I shared it with family and some cousins and everyone loved it. 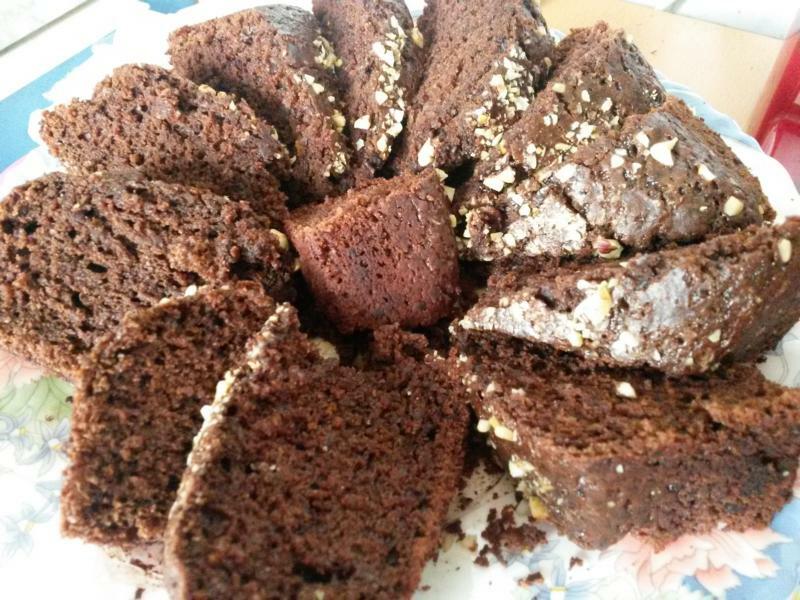 I have tried baking eggless cakes without tofu as well, however I prefer this version. It always turns out much more soft and moist than the eggless-tofu-less version. Tofu can be substituted by yoghurt as well. Both give equally good results. 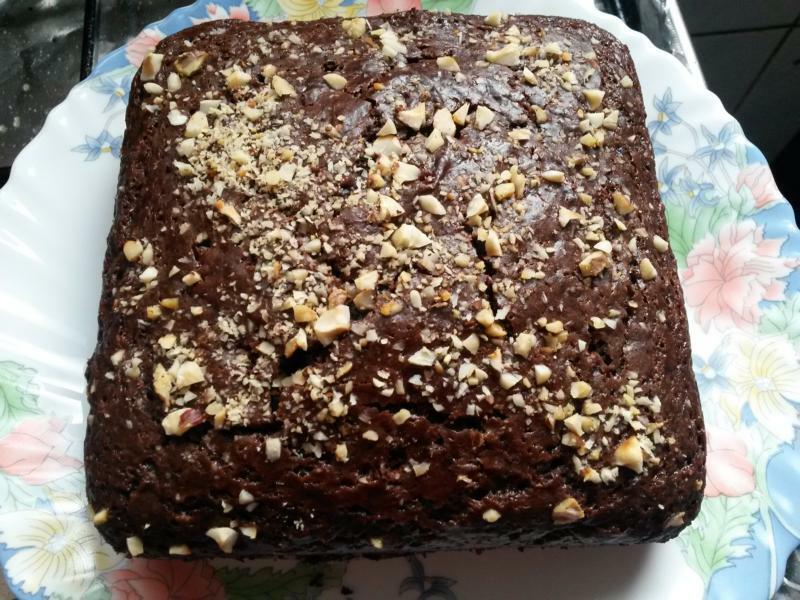 I have used hazelnut and walnut in this recipe, to give it a nutty flavor. This is optional, so if you are not crazy about nuts, you can skip this step. Roast and crush few of these nuts. Keep aside. Puree the tofu. Dust a 12’ cake pan or two 7’ pans with flour or cocoa powder and preheat oven to 190°C. Then get started with the mixing. 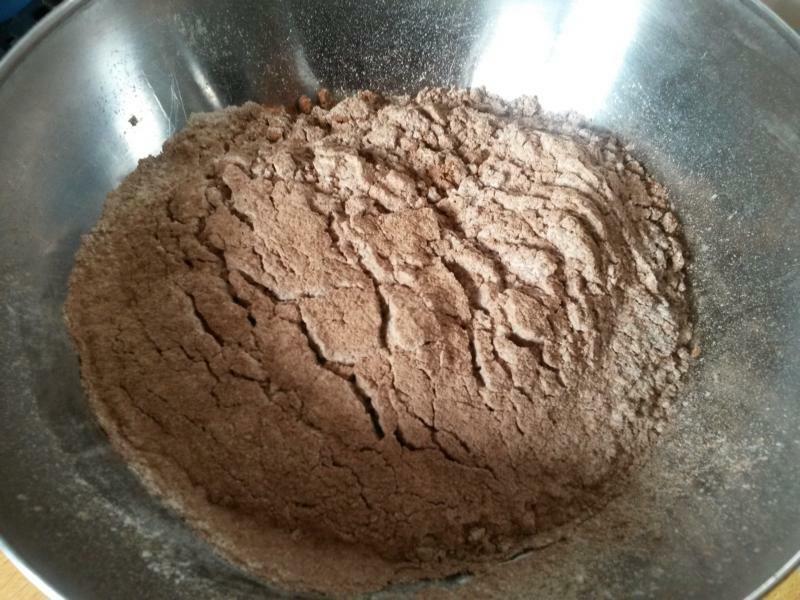 Sift the flour, cocoa powder, salt, baking powder, baking soda in a bowl. 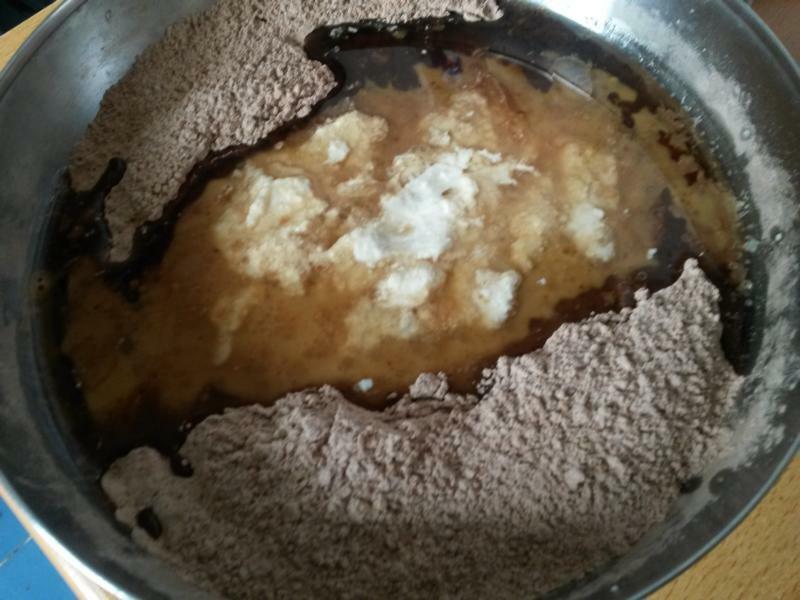 Make a well in the centre, pour veg oil, hot instant coffee, pureed tofu (or yoghurt), milk and vanilla essence. Beat with an electric mixer on medium for 2 mins. Add the nuts at this point, if using, and stir with a spatula until mixed. 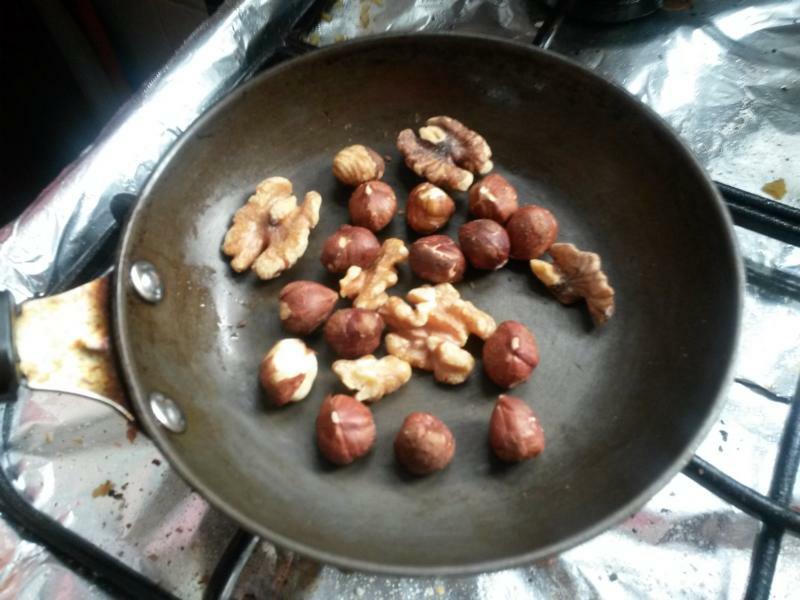 Pour this mixture in the pan, sprinkle some more of the nuts on top and bake for around 30-35 minutes till done. Test by inserting a skewer. The cake sits well for a couple of days and is incredibly moist and soft. It is incredibly delicious with frosting. I tried this cake with frosting on another day and it was a super hit! 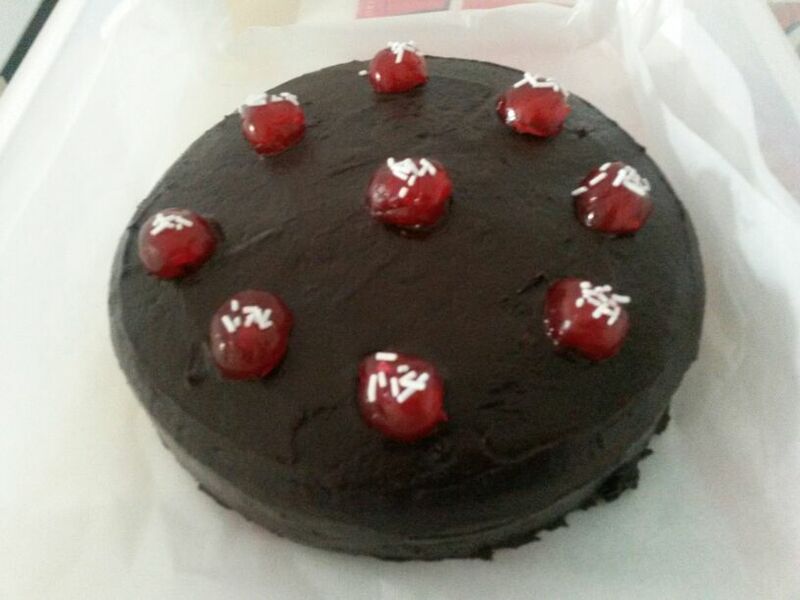 I used chocolate ganache, topped it with cherries. 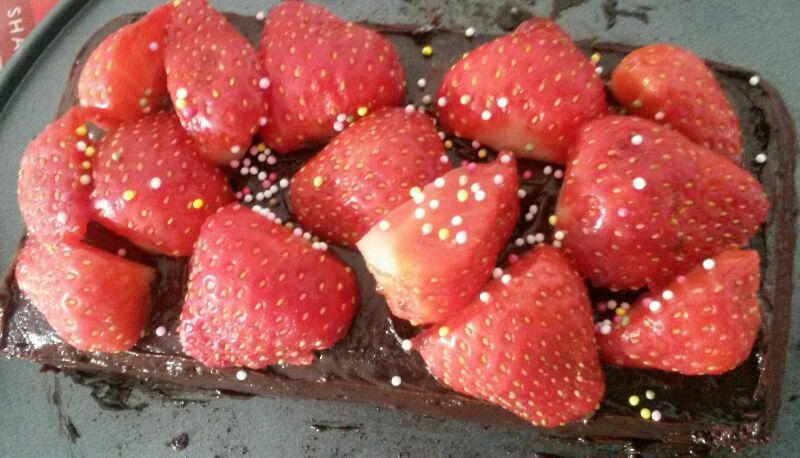 Another one especially for my daughter who is crazy about strawberries! Dust a 12′ pan or two 7′ pans with flour or cocoa powder. Preheat oven to 190°C. Make a well in the centre and pour the oil, coffee, tofu, milk and vanilla essence and beat with an electric mixer on medium for 2 minutes. At this point the hazelnuts and walnuts can be added if needed. 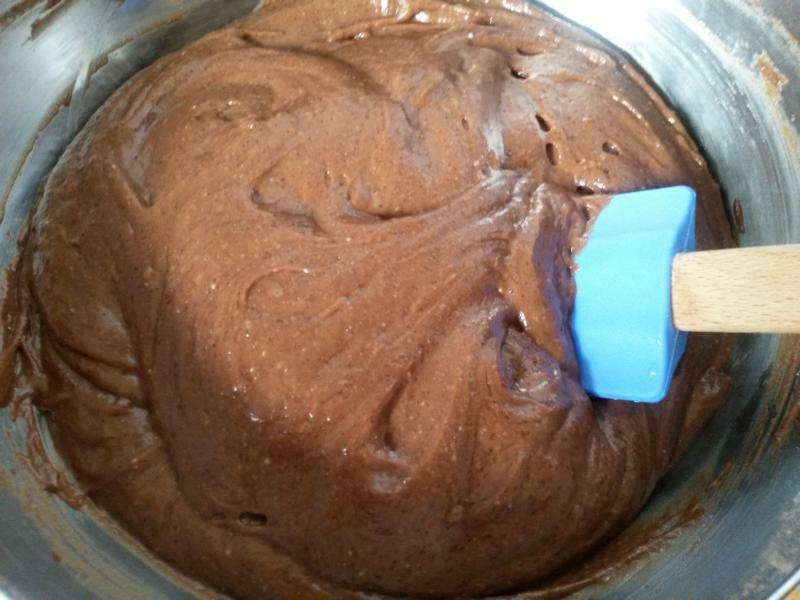 For the ganache, chop the chocolate into small pieces so that it melts evenly. Bring the heavy cream to just boiling point and pour over the chocolate. Stir gently until smooth and shiny. Pour over the cake and spread evenly on all sides. Sprinkle chopped and roasted nuts / cherries / strawberries or your choice of topping.